Warren Buffett doesn’t use an iPhone, yet it is one of the big reasons he invests so much money in Apple stock. 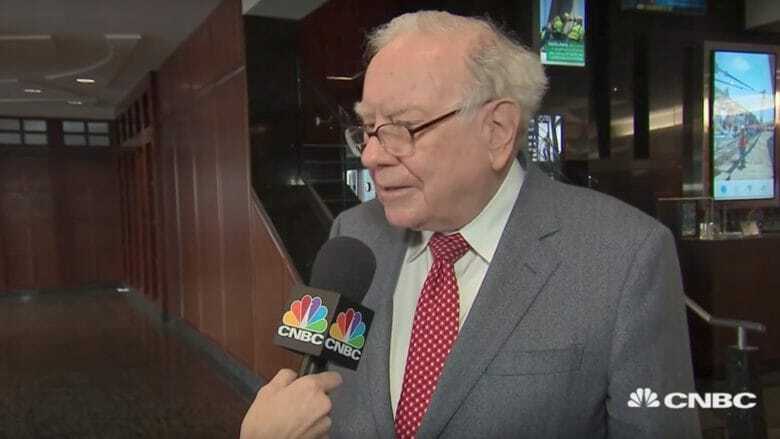 Buffett told CNBC on Monday that his Berkshire Hathaway Inc. bought more in Apple than any other stock over the last year, making it the second-biggest holding for the company. “Apple has an extraordinary consumer franchise,” Buffett said on the CNBC program Squawk Box. “I see how strong that ecosystem is, to an extraordinary degree. You are very, very, very locked in, at least psychologically and mentally, to the product you are using. Buffett sent a letter to shareholders over the weekend that showed Berkshire Hathaway’s 15 largest stock positions. Apple was second only to Wells Fargo. Bank of America, Coca-Cola, and American Express were third through fifth. Berkshire Hathaway has been gobbling up Apple stock and increasing its stake in Apple since it purchased $1 billion in shares in 2016. Buffet now owns a 23.3 percent stake in Apple with a 165.3 million shares, Apple Insider reported, quoting a company filing with the Securities and Exchange Commission. Buffett was also asked why he opts to carry a flip phone versus the “sticky” iPhone.